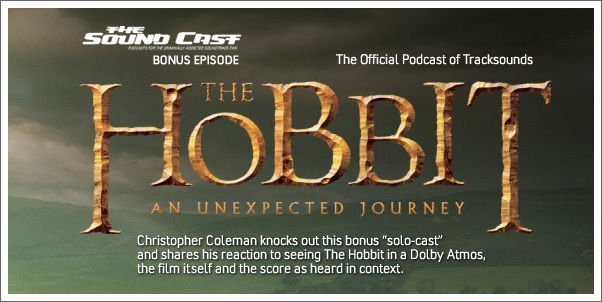 Christopher Coleman knocks out this bonus “solo-cast” and shares his reaction to seeing The Hobbit in a Dolby Atmos, the film itself and the score as heard in context. 08:48 The score. Where's the point?